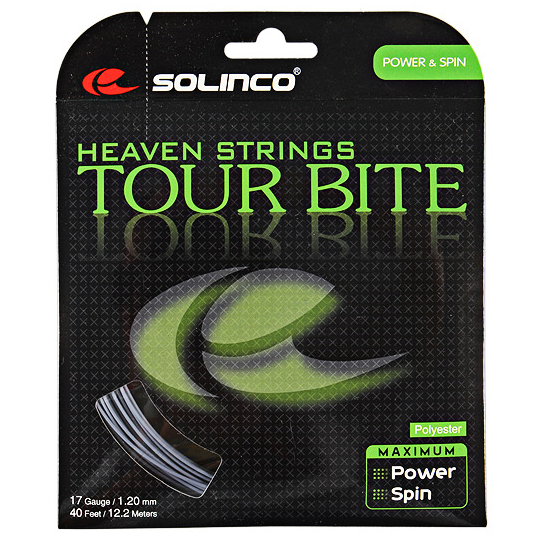 Solinco Tour Bite 17 String - Tennis Town | 網球購物城 - Tennis Racquets, Equipment, Strings, Shoes & Bag. A newly developed, high-performance and versatile polyester string designed to generate extreme power and intense spin and bite. Utilizes an innovative hig-powered polyester monofilament fiber desigened and shaped to generate maximum power while amplifying the spin and bite intensity of the ball.